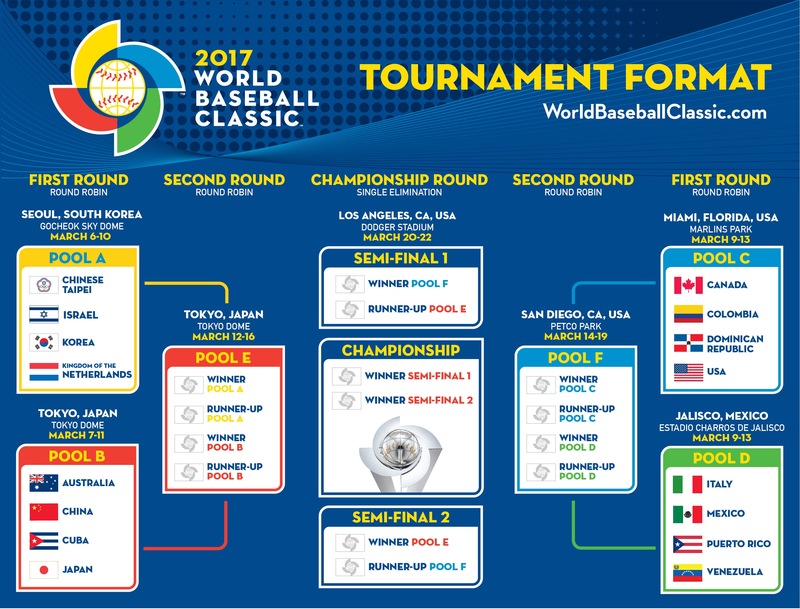 The World Baseball Classic is the premier international baseball tournament, sanctioned by the World Baseball Softball Confederation (WBSC), and operated as a joint venture between Major League Baseball and its Players Association. The Tournament features the best players in the world competing for their home countries and territories. More than 2.4 million fans from all over the world have attended the tournament games, held in March 2006, March 2009 and March 2013. Team Dominican Republic is the reigning World Baseball Classic Champion after going undefeated during its 2013 championship run. This year's tournament again featured the greatest baseball-playing nations in the world. The tournament will be held every four years thereafter. All Tournament games shall be played according to the provisions of the Official Baseball Rules as Recodified, Amended and Adopted at New York City, December 21, 1949, and thereafter amended by the Playing Rules Committee, as supplemented by these Rules. The role of the "League President" in the Official Baseball Rules, with respect to the Tournament, shall be performed by the designees of WBCI. The use of the designated hitter is adopted for Tournament games. Pitcher use will be limited for WBC games. such Federation Team is ahead by 15 or more runs after any complete inning, beginning with the completion of the fifth inning (For example, if the home team is ahead by the difference, after the visiting Club bats in the fifth inning or later, it is not necessary for the home team to bat) . For any inning beginning with the 11th inning, the Federation Team at bat shall begin the inning with runners on first and second base. In the event of a tie during pool play for the first and second rounds, a tiebreaker game will be used to determine the final team to move on to the next round. The player presents documentary evidence satisfactory to WBCI that he would be granted citizenship or a passport in due course under the laws of the Federation Team's country or territory (excluding any requirement of the Federation Team's country that the player would need to renounce his current citizenship), if he were to apply for such citizenship or passport.